Academic excellence is measured by hard work. 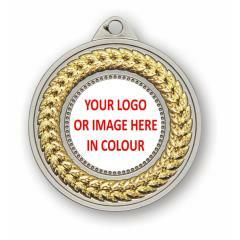 Recognise that hard work by presenting your top maths students this wonderful medal. Featuring all the images we associate with mathematics, this medal is sure to wow tomorrow's future mathematicians and engineers!